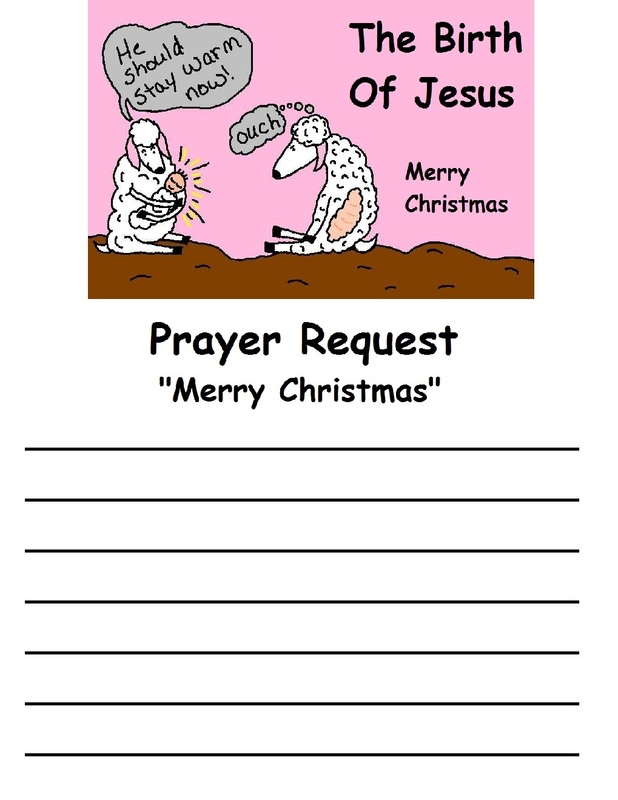 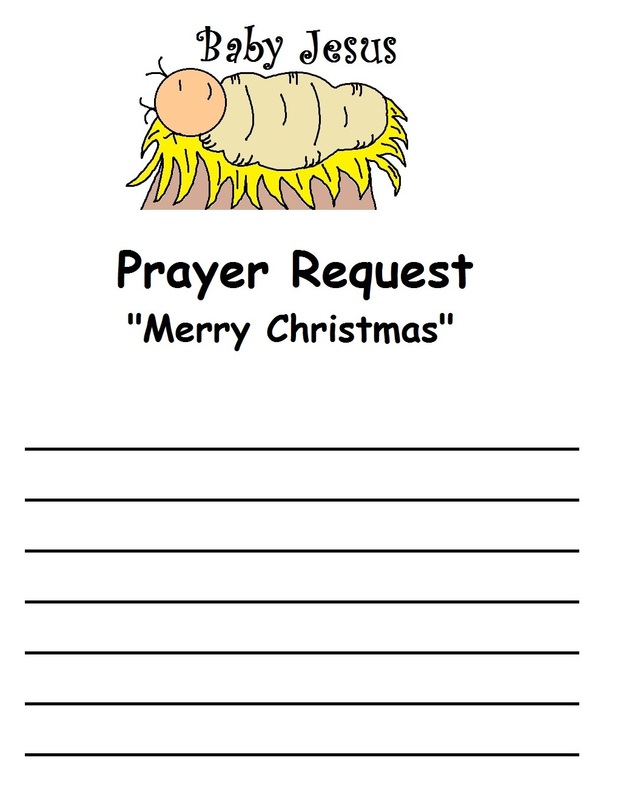 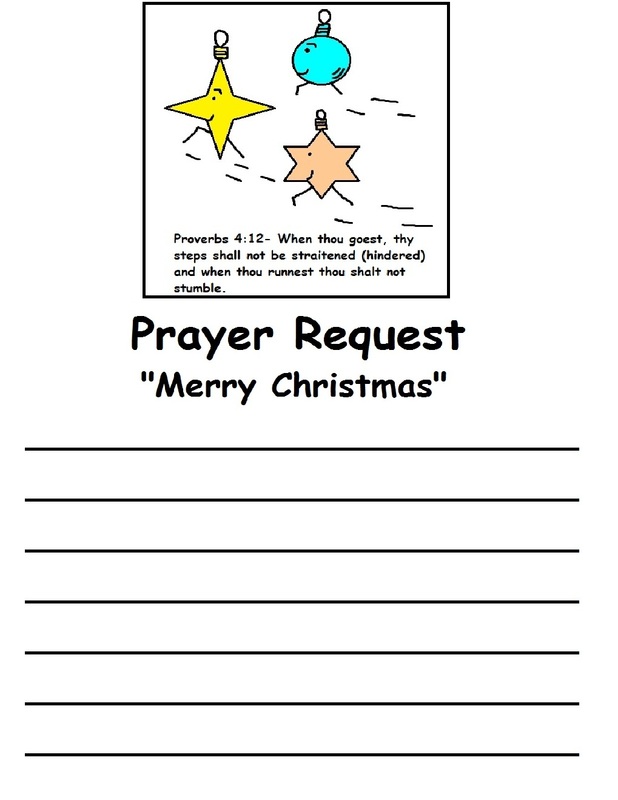 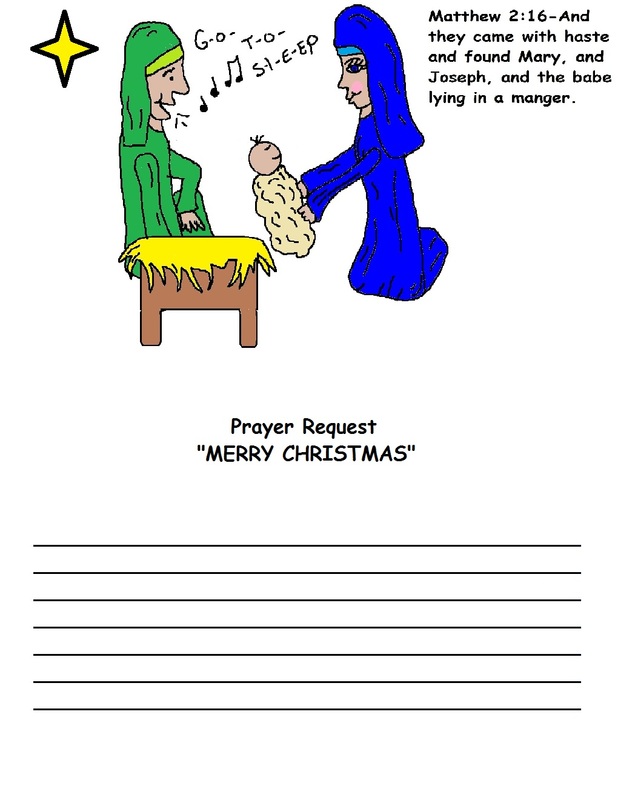 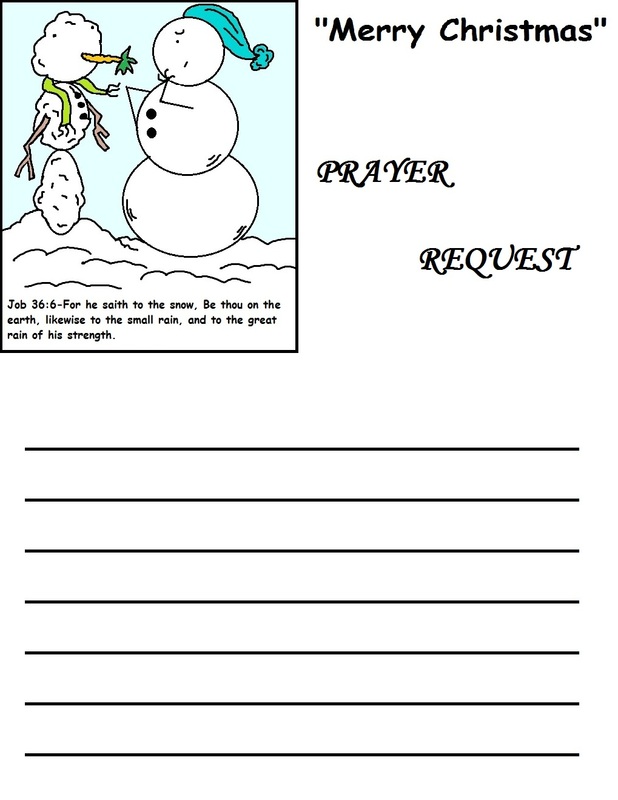 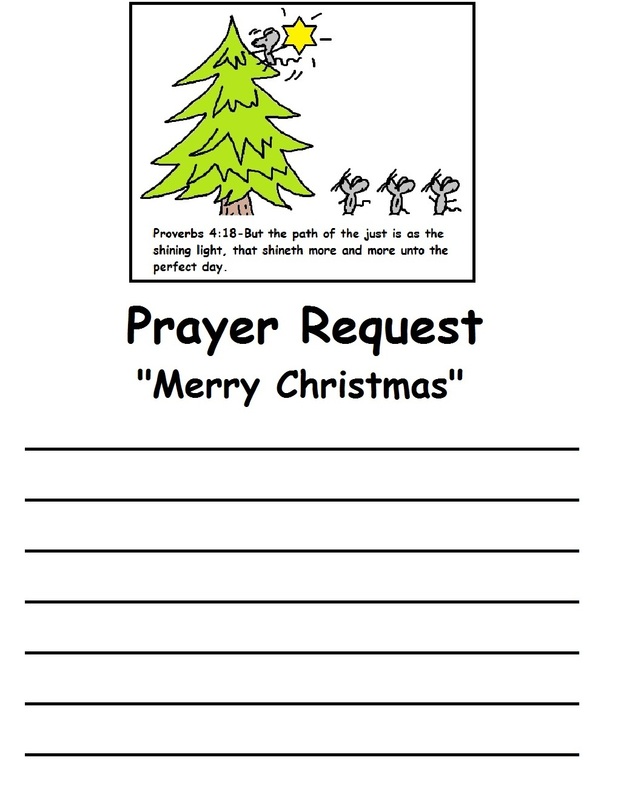 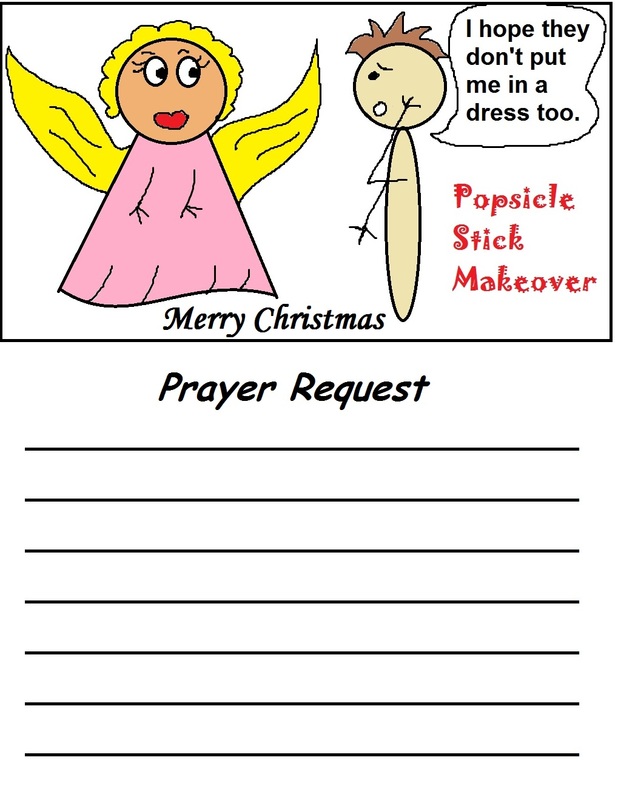 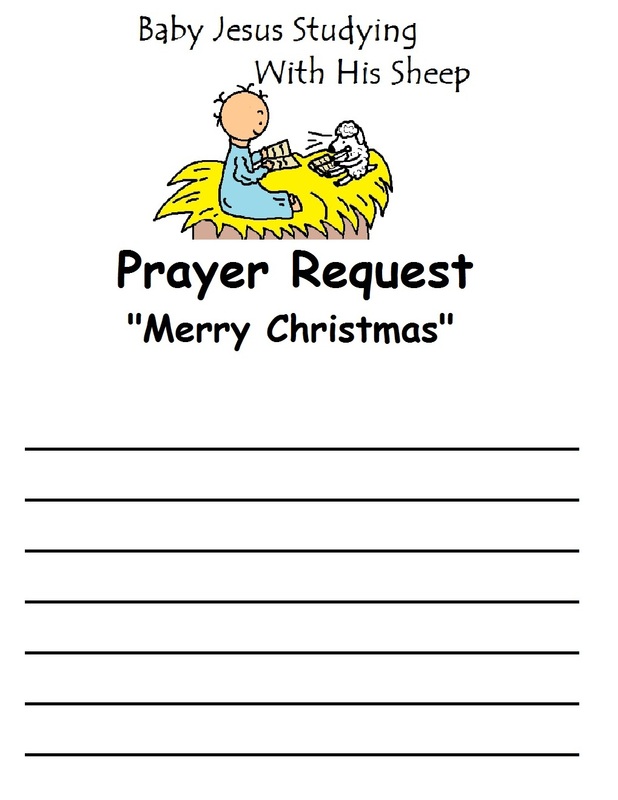 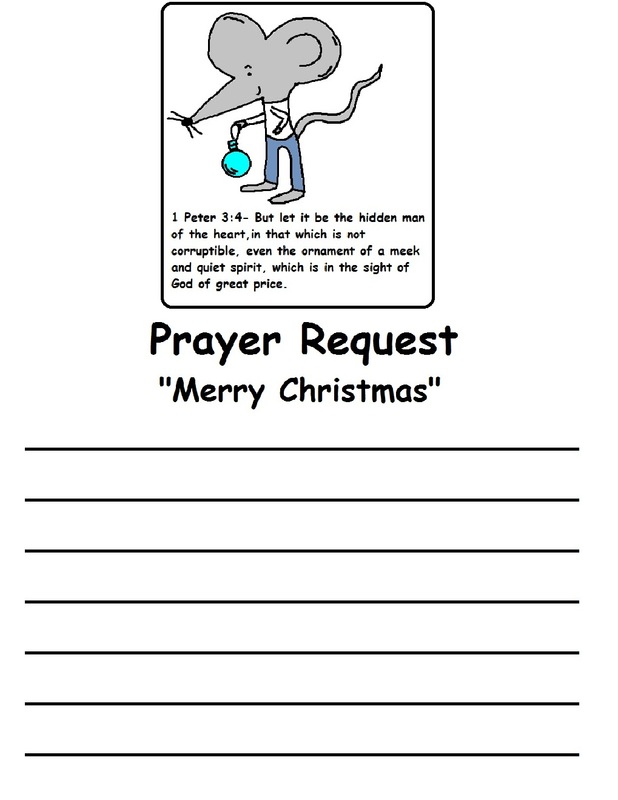 Just print these prayer requests off and hand them out the the kids in class for Sunday school or Children's church. 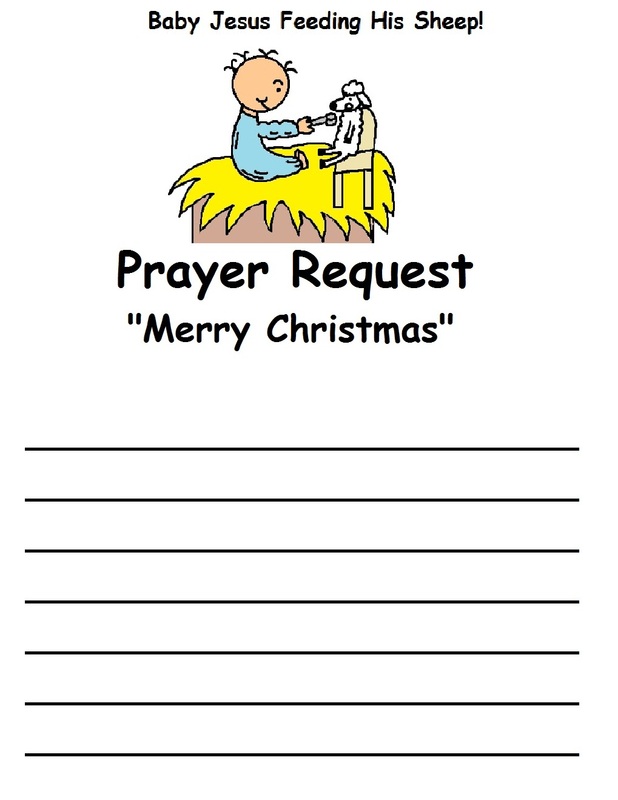 Ask the kids to write down their prayer request for the day and pray with them. 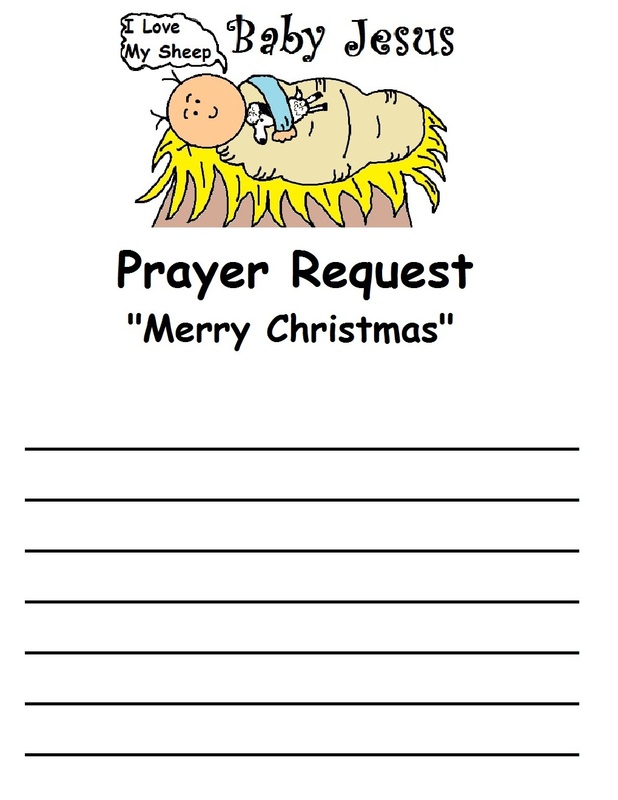 You can post them on a bulletin board or just let them take them home. 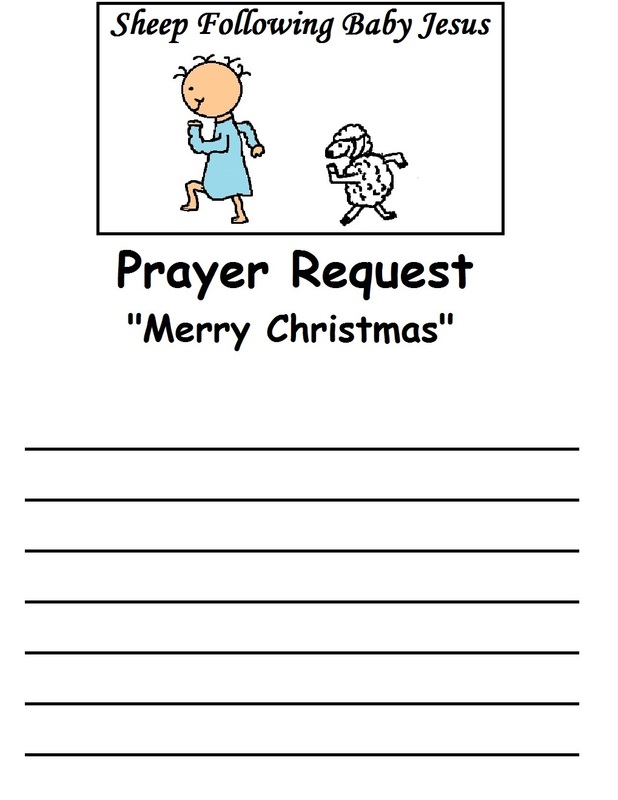 These sheets have Christmas clipart drawings on them.